Drawing, painting and notetaking are all easier on an iPad when you use a stylus. The tip of a stylus is smaller than your finger so it gives you more control and precision. Some styli even have paintbrush tips you can use for more realistic painting experiences. There are many apps that work wonderfully with a stylus to help you create your masterpieces. Look for apps that have a wide variety of tools to use such as ArtRage. The following is a list of 10 top-notch styli that are sure to increase your creativity. The main advantage of this stylus is its fine point precision. 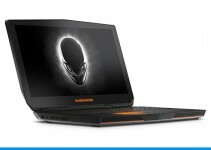 It utilizes a Precision Disc that provides you with the accuracy of a ballpoint pen. The stylus tip is cushioned which gives it a smooth feel. It also provides you with quiet writing. The stylus body is solid aluminum and steel and has a textured grip. It comes with a carrying clip on it so you can slip it onto a pocket. This Adonit stylus can be purchased on Amazon for around $30. It is available in four different colors (silver, black, gold and rose gold). It was rated an average of 4 out of 5 stars by 632 reviewers. The Cosmonaut is unique among styli. It is designed to feel like a dry erase marker instead of a pen. It has a wide grip that makes you feel like you’re writing on a whiteboard. The tip of the stylus is very responsive and smoothly glides across your screen. It is also replaceable. The stylus core is solid aluminum so it’s extra durable. The outside of the body is rubberized which makes it easy to grip and soft. It is also waterproof. It is a well-balanced stylus with a press-fitted endcap. You can purchase the Cosmonaut currently on Amazon for about $25.00. It received an average of 4 1/2 stars out of 5 from 325 reviewers. The word “duo” in the name of this stylus implies that there are two parts to it. The two parts are a stylus and a pen. 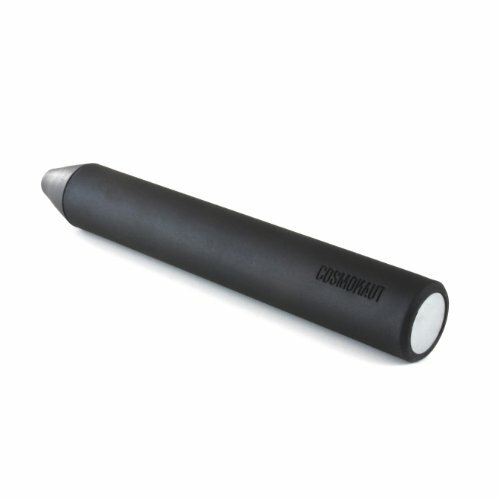 One end of the stylus has a conductive microfiber tip that allows you to smoothly draw and create on your iPad. 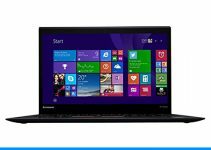 It is very strong and provides you with a natural usage experience. The tip is small and precise. The opposite end of the stylus is a premium ballpoint pen. This combination helps you to easily and quickly go from creating on the iPad with your stylus to writing on paper with a pen. The stylus utilizes a refillable ink cartridge for the ballpoint pen. Currently the TruGlide Duo is available for purchase on Amazon for around $20. You can choose from the colors of carbon or platinum. It earned an average of 4 out of 5 stars by 169 reviewers. According to The Verge, the Sensu Artist Brush & Stylus is “the best stylus for the iPad.” What makes this stylus better than the rest? The Sensu is both an artist brush and a stylus in one amazing product. 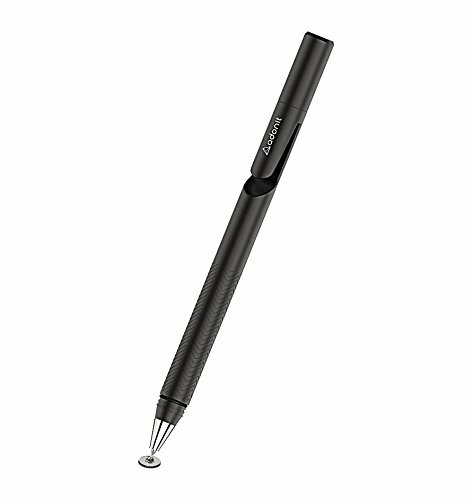 The rubber stylus portion allows you to write, navigate or draw on your tablet with ease. 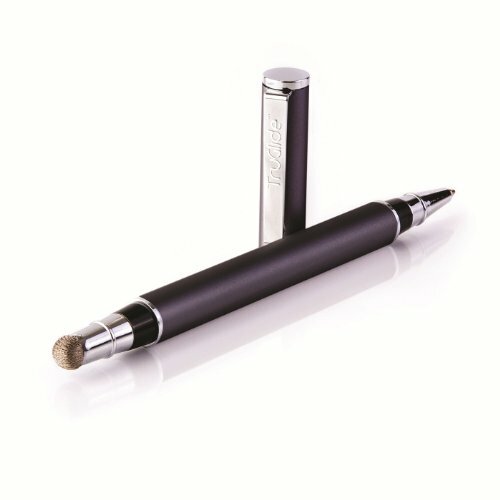 By pinching near the nib of the tool and pulling off the cap you will discover the artist brush inside with capacitive bristles. By placing the rubber stylus into the cap you create a handle for your brush. The hair on the brush is technologically advanced so it has a spring to it. It responds in a way that makes it feel like you’re using a real paintbrush on your iPad. This stylus can be purchased on Amazon for approximately $31.96. Its average rating of 4 1/2 stars out of 5 came from 231 reviewers. There are two colors to choose from. The black and chrome colored styli are equally exquisite. Pencil by Fifty-Three is truly a stylus with flair! It’s called the pencil because it looks more like an average pencil instead of a pen. The way you use the tip of the stylus determines the width of your stroke. When you use the point of the tip you create fine lines. By utilizing the angled edge of the tip your strokes will be broader. If you make a mistake, simply flip your stylus around and use the eraser built into the opposite end. The stylus also has a palm rejection adaptive quality that recognizes whether the Pencil or your hand is touching the screen. You can rest your hand on the surface of your iPad without having it cause problems. The body of this stylus is comprised of premium-grade walnut or brushed aluminum. The core is filled with advanced technology. You can purchase this stylus on Amazon currently for around $50 (depending on which type you select). You can choose from a gold, graphite or walnut pencil or a package of the walnut pencil with replacement tips and erasers. The Pencil comes with a USB rechargeable battery. The Bamboo stylus has brushed aluminum on the outside which makes it durable yet feel smooth and elegant. The tip is small for better accuracy and precision. You can find this stylus on Amazon for approximately $17.95 (depending on which version you choose). Four colors are available including black, blue, pink and white. 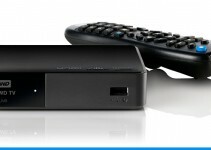 It can be used on the iPad and the iPhone 4. The Nomad FleX is a paintbrush for touchscreens. 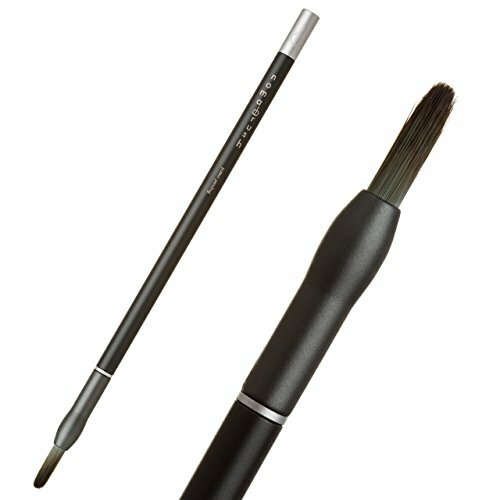 The brush tip is all-synthetic which makes it very flexible and soft. The body is made of precision-milled aluminum. The brush tip and cap are removable and can be used with any other Nomad brush tip. A plastic carrying case is included with your purchase. The current price on Amazon for the Nomad FleX about $30.00. There are five colors to choose from including blue, charcoal, pink, red and silver. 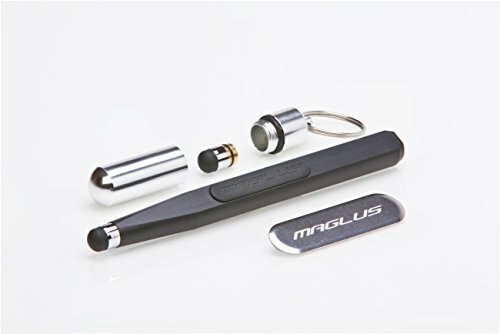 The Maglus is a magnetic stylus with a convenient removable tip system so your stylus is sure to last a long time! The body consists of precision-machined aluminum in an ergonomic form that feels wonderful in your hand. The tip is formed from precision silicon that provides you with the maximum amount of conductivity. Special neodymium magnets in this stylus help it to strongly adhere to your iPad. It is a very accurate and sensitive stylus. You can even store extra stylus tips in a special keyring capsule. It can be found on Amazon for around $35. The Kensington Virtuoso has a soft tip that smoothly flows over your iPad screen. This stylus is comfortable to hold and offers a lot of control with your projects. One end is a ballpoint pen with a cap to cover it. The other end is the stylus. There is also a chrome pocket clip on the body so you can easily attach it to a pocket. This stylus comes in 16 different colors. Currently you can purchase the Kensington Virtuoso on Amazon for around $15. The Apple Pencil was created to work in conjunction with the iPad Pro. You get a variety of tools through this one stylus. The amount of pressure you apply to the stylus determines the thickness of your lines. The harder you press, the thicker the lines you create. Add shading effects by tilting your stylus like you would a regular pencil. The pencil is extremely responsive and there is almost no lag time. It has a magnetic cap that needs to be removed in order to charge it. Under the cap is a lightning connector that plugs into your iPad Pro.